Chartered Members of Engineers Ireland and the Association of Consulting Engineers of Ireland. We are the most experienced team of consulting engineers in Wexford. We are long established firm with a reputation earned over close to 20 years. John graduated from UCC in 1984 with an honours degree in civil engineering. On graduation, he worked on civil engineering and tunnelling projects in Cork and Yorkshire before moving to Carlow County Council to work in their Sanitary Services and Environment section. He worked in the United Kingdom in the 80s and 90s on a wide variety of building and civil engineering projects. These included office blocks on Canary Wharf, the Limehouse Link, and the Channel Tunnel. After returning to Ireland, John worked on the Wexford Main Drainage scheme as a resident engineer before setting up John Creed & Associates in 1999. John has wide experience in building and civil engineering including the design and construction of reinforced concrete, structural steel, ground works, piling, building works and drainage, sewage treatment, and environmental works. 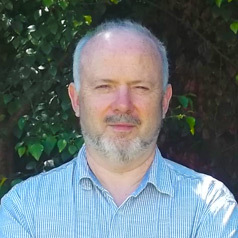 John is a Chartered Engineer registered with Engineers Ireland. Martin graduated from Trinity College with an honours degree in Civil Engineering in 1998. He joined John Sisk and Sons in Dublin where he worked on the development of apartment blocks. He also worked with Roadstone’s Contracting Division on the Limerick-Adare and Arklow bypasses. Since joining the team in 2001, Martin has worked on a range of projects in civil and structural engineering works, from the design stage through to inspections of the construction stage. His expertise include structural design, drainage and attenuation design, and the issuing of Opinions on Compliance with respect to both the building regulations and planning permissions. This involves liaising with solicitors, architects, and lending institutions on behalf of our clients. 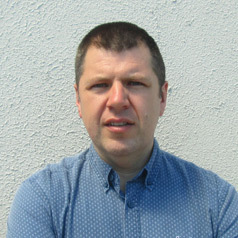 Martin is a Chartered Engineer registered with Engineers Ireland. 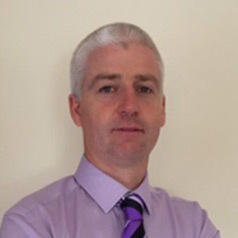 Philip worked with Douglas Baxter & Associates (Consulting Engineers) following the award of his National Certificate in Civil Engineering in 1998; he worked mainly as an AutoCAD technician on civil and structural projects. He returned to college to pursue a diploma in civil engineering, graduating from Waterford IT in 2000. He joined Roadstone, working on road projects as a setting-out/surveying technician. These included the Dungarvan, Kilmacthomas, and Piltown and Fiddown bypasses. In 2001 he joined Tristway Ltd as a site engineer on housing developments and civil engineering projects. Since joining the team in 2003, Philip has worked on a variety of projects – domestic houses, larger schemes of houses, groundworks, land surveying, and setting out buildings. He’s also been appointed to the Wexford County Council panel of site suitability testing agents. Philip’s area of expertise includes building construction, preparing Building Energy Ratings and providing advice on insulation and renewable energy. He also prepares waste permits and Site Suitability Reports.